A tender chocolate pound cake is enriched with subtle coconut flavors in this chocolate coconut pound cake. 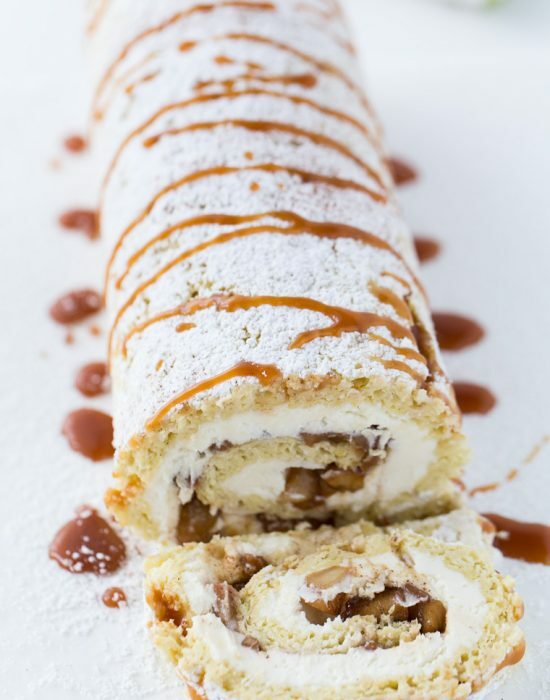 It’s an easy, delicious and beautiful dessert perfect for your next get-together. Have you ever met someone who you had an instant connection with? No, not the romance novel stuff where boy meets girl and your heart skips a bit yada yada. I mean a person who you just instantly click with and you both understand each other. That is my friend Allie from Baking a Moment! We met almost a year ago online and have been besties since. She commented on my blog, I commented back, she came again to visit and the rest is history. Now, I can’t imagine a day or two without talking to her or sharing my day with her. 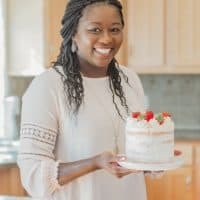 Besides being a great friend, she is an incredible baker and a lovely momma who shares her love for cakes, delicate sweets and desserts over on her blog. If you have not met her yet, please go meet her! You will LOVE her. And guess what? 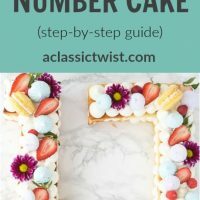 She is celebrating her first blog anniversary!! 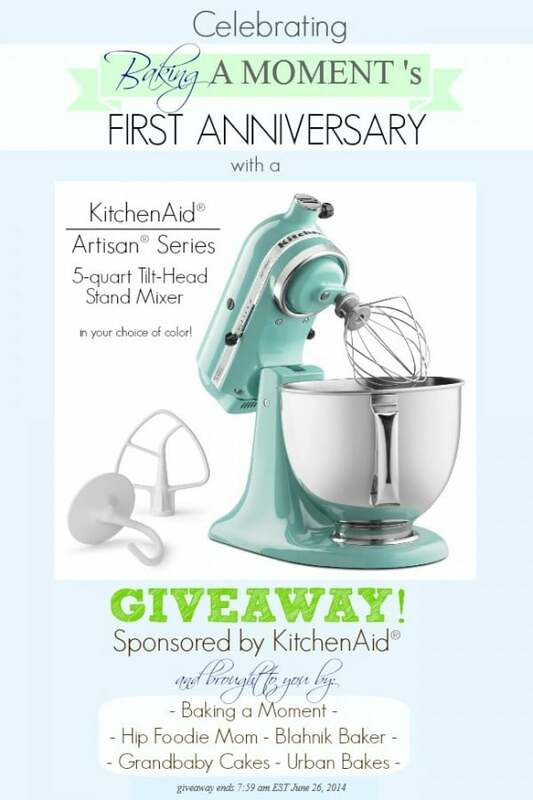 And being as nice as she is, she is giving away a KitchenAid mixer to one of YOU!! But more on that later (or skip to the end of the post!). We all know coconut is one of my favorite flavors (Exhibit A). Yes sometimes I border on obsession but I just can’t help it. When I found out Allie did not like coconut a few months ago, I was totally shocked!! I mean how could you not?? Apparently it’s a texture thing but I just couldn’t get it. Thankfully, she came to her senses (phewww, wasn’t sure how our friendship would have survived lol)!! She is now coconut crazy and can’t seem to get enough (making up for lost time). These Almond Joy Brownie Bars ignited the fire. In honor of her new-found love and her blog anniversary, I am sharing this chocolate coconut pound cake. 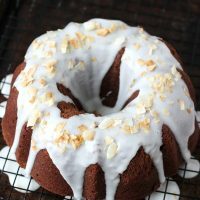 Chocolate and coconut is one of my favorite combinations and this pound cake really highlights the wonderful combination of creamy coconut with the decadence of chocolate. This was my first time making a pound cake and I have no idea why it took me so long. The cake is the perfect texture; slightly dense but moist and fluffy. And of course quite chocolate-y making it a decadent treat and the subtle coconut flavor gives room for the chocolate to be the main star. 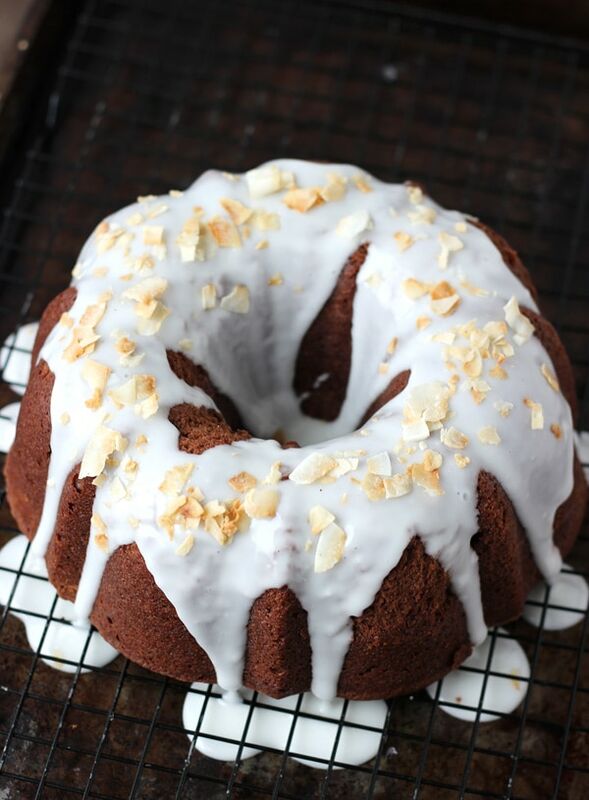 Don’t worry coconut lovers, the sweet coconut glaze on top is the perfect finish. 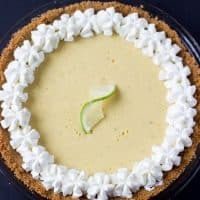 This cake is bound to be a hit with chocolate-lovers, coconut-lovers and cake-lovers in your family and next get-together. Reduce speed to low and add in the dry ingredients, in 3 additions. Mix until just combined. Do not over-mix. Scrape batter into prepared pan. 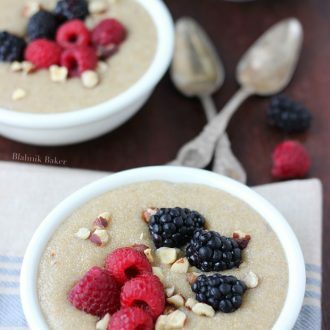 Sprinkle with coconut flakes and 1 tablespoon sugar. To enter for a chance to win one of these beautiful babies, use the widget below (please be patient, it takes a moment to load sometimes). 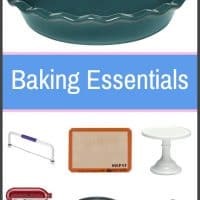 This giveaway is brought to you by these lovely ladies: Baking A Moment, Hip Foodie Mom, Grandbaby Cakes and URBAN BAKES. Stella!!! love it! I have a Stella too. . in red .. I haven’t actually named mine but I should! She’s the hardest working countertop appliance in my kitchen, yo! And you know she’s a female 🙂 freaking love this cake! and so happy to be here with y’all today! Yay! Happy blog birthday to Allie! And I am so excited by this recipe because I now have a Bundt Pan! I can make this amazing cake! Chocolate + Coconut are soooo great together! Aw blogging friends are the best. 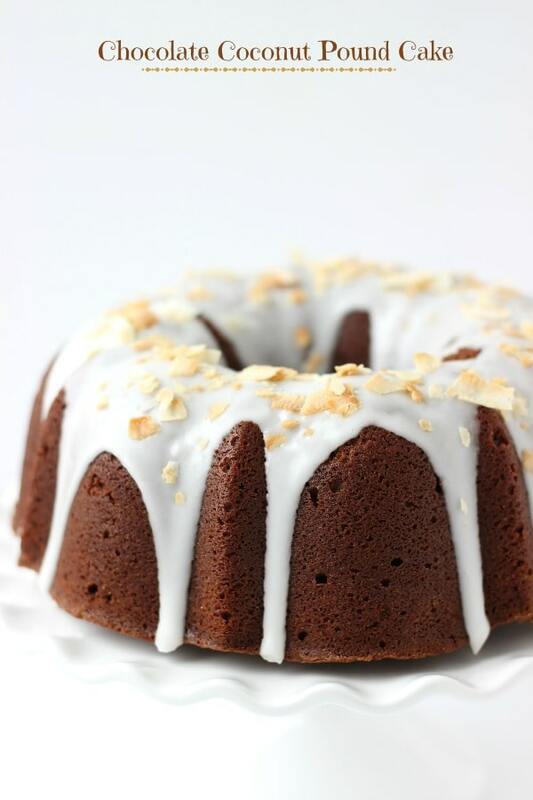 And I love this chocolate coconut pound cake..your pictures are mouth-watering! Great giveaway and what a fantastic cake! Yummy! What a great looking cake. I’m allergic to coconut though. Awesome giveaway as well! Yayyy! I love Allie! And this pound cake is def. worthy of the occasion of Baking A Moment’s 1st birthday! It looks so dense and buttery and chocolatey-and then tho coconut! MMMM! perfect! This cake is so fantastic just like you. I am so glad we are so close and are getting closer and closer every single day my friend. I just love the heck out of you! What a delicious looking cake! 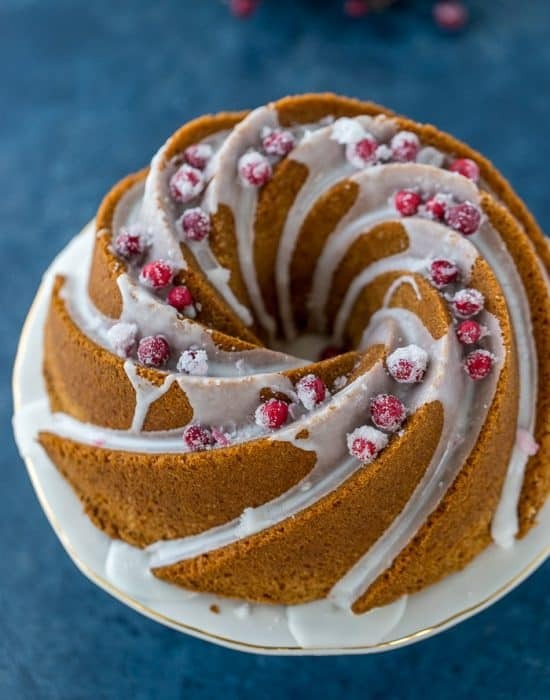 Clearly, I need to get a bundt pan ASAP so I can make this beauty! Allie is so lovely, and so are you … a match made in heaven! P.S. I’m in the coconut-lovers camp, too! Love this contest! 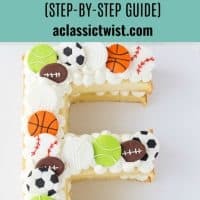 Happy 1st Blogaversary to Allie! 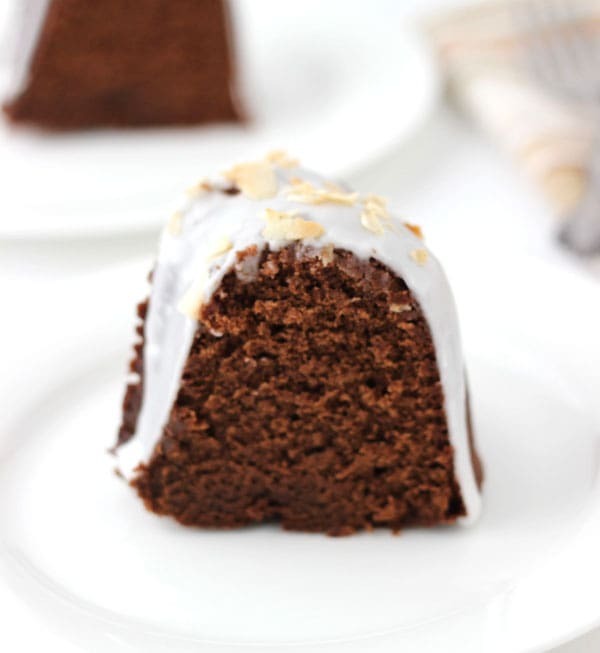 I can’t wait to try this chocolate coconut bundt cake. My mom loves both flavors, so she will be the lucky (and, and I’m sure, very grateful) recipient! Thank you for sharing. This cake looks amazing Zainab! Thanks so much for the giveaway! 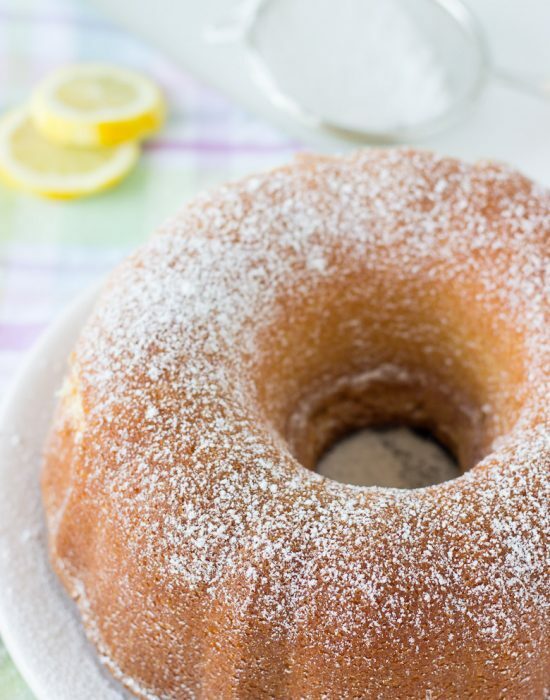 This pound cake looks divine!!! Love the chocolate and coconut combination too, Zainab. What an awesome cake. And Allie’s blog is one of my favs too, makes sense that you are friends. Both so great! Aw I love this. I had no idea you guys had such a wonderful friendship – it makes me so happy to hear you talk so fondly of each other! And this cake looks insanely good!! I’ll be honest…I don’t really like coconut either, UNLESS chocolate is involved. Lovely photos! 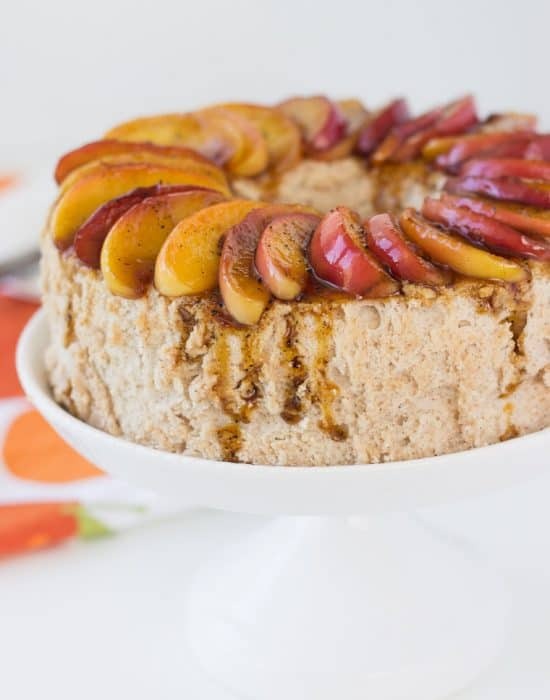 Since I stumbled upon this beautiful cake on “Pinterest”, my mouth can’t stop watering, it looks divine! Chocolate and coconut is a great combination and one of my favorites. This looks like one amazing cake!! This is such a gorgeous looking pound cake. 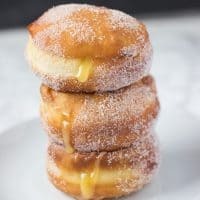 I adore pound cakes and with coconut! The best! What a pretty cake! I never used to like coconut either, until I tried the natural unsweetened kind. Now I’m an addict- I love it with chocolate. Happy anniversary to Allie too! 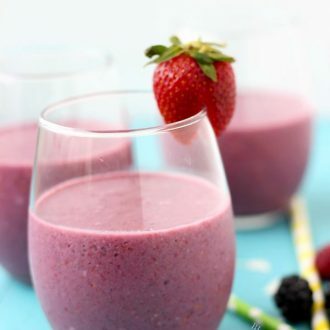 Ohhh that’s a sweet contest – love that mixer! Chocolate and Coconut… you know the way to my heart! Absolutely stunning pics too Zainab. I love Allie too, she is such a sweetheart and seriously a stellar baker.. holy cow! Allie’s new found love is pretty awesome! This pound cake rocks, Zainab, the two flavors were made for each other. I was just thinking about making pound cake today and bam, I see this! Love it! Cannot wait to try; pinning! My KA mixer is over 35 years old and still doing the job. Husband had to do a small rebuild on it but it is a workhorse. I never named it but I suppose I could come up with one in a pinch…. This cake looks like it could be a winner. This looks amazing! I’m usually not a fan of coconut things but coconut oil converted me! Now I want to use it in everything!